A Sweet Sports Romance Story by Kalyssa Powell! Jujitsu runs in Angie Torres’ blood. 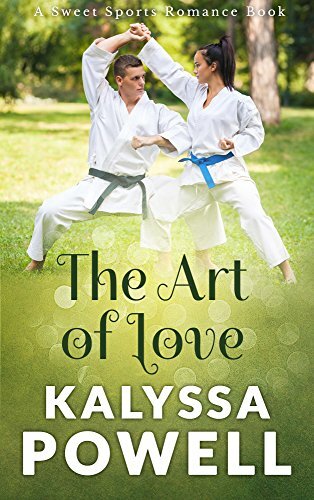 As the daughter of an infamous mixed martial arts champion, it was only natural that she’d fall in love with Jujitsu, but what wasn’t natural was the fact that men would come clamoring for her attention just to get close to her father. Now, working as an elementary school receptionist by day and training as a Jujitsu fighter by night, Angie is anxious to make her own mark in the sports world. After a near win with a fierce opponent, Angie receives the opportunity of a lifetime: a one on one training session with third degree black belt and renowned champion Isac Cortes. Isac takes an instant liking to Angie. For her, the feelings are mutual. As their friendship blossoms into a budding relationship, Angie’s distrust of men and their intentions begin to plague her. At the same time, a jealous rival makes it well known that she has her sights on defeating Angie. Can Angie let go of her long-held doubts and give into love and will Isac finally prove to her that his feelings are real?